As the founder of Sundance Group, Inc. (1998), I continue to support my clients by advocating for and empowering people within or outside of their workplaces. Recruitment through Retention — are among the services offered by my boutique HR practice reach across many industries and professions. Performance Management and Policy Development, among the disciplines within HR and general business functions that I have experience in, which includes high volume turnover. PHR certified since 1997, with a Bachelor’s Degree in Organizational Development and Behavior (DePaul University), I continue to educate myself in my profession and beyond. As a CPC (certified professional coach), I continue working with the passion I have for empowering job seekers, enhancing workplaces and all the minutia in between. All, while striving to keep the human in human resources, and continually expanding my own knowledge base and experience. 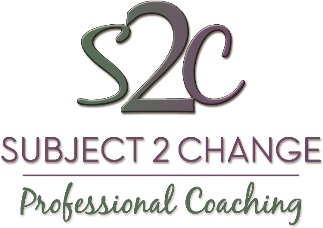 Trained and certified through the Center for Coaching Certification.